Turmeric is a deep-orange spice that helps reduce inflammation in the body. Popular in Indian cuisine, did you know that you can also add it to drinks? 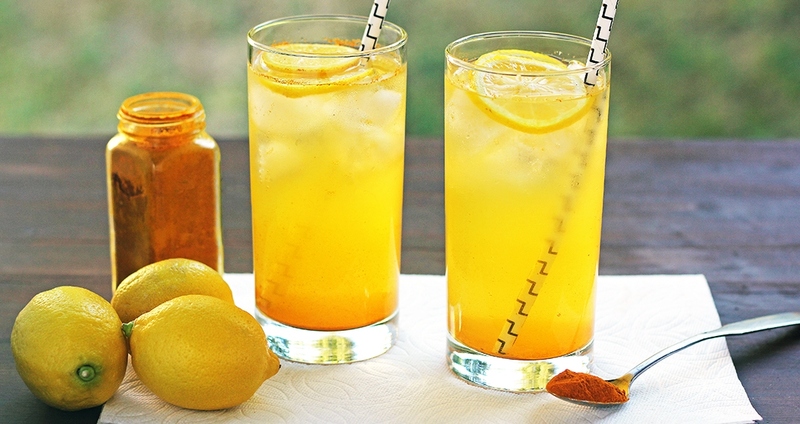 This Turmeric Tonic is a tad peppery, lightly sweet, and super refreshing. Enjoy it regularly for best results. Add coconut water, turmeric and black pepper to a blender and blend for 10 seconds. Add lemon slices and ice to two glasses and pour the coconut-water mixture over. Note: As the drink sits, the turmeric will settle in the bottom of the glass. Mix as needed.